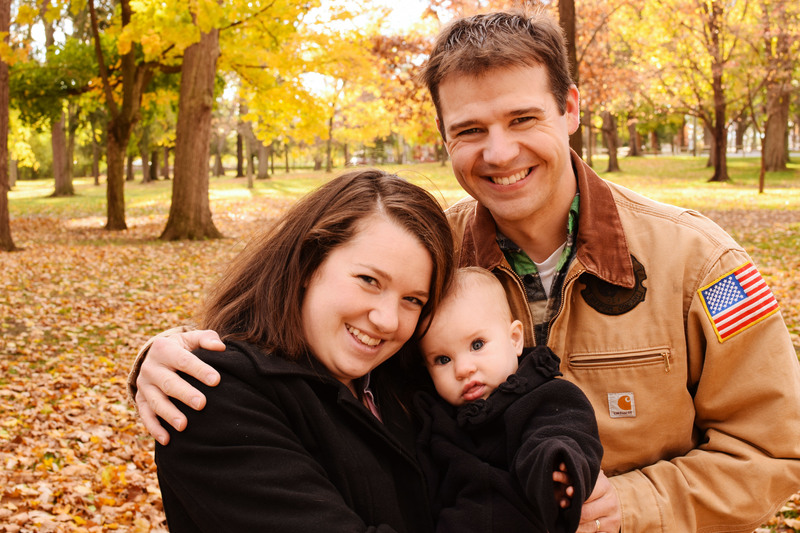 The Lucas family asked for a family session that captured the fall colors. I searched all over the area and was utterly frustrated. Everywhere I looked the leaves were still green or already on the ground. Fortunately for me Hubs works in the city and knows the area better than anyone I know. He recommended Longs Park near the mall. I drive past the park at least once a week on my way to the mall or a store but never thought to go in. Bless that man! It was perfect! Despite 20 mile per hour winds and 45 degree weather this cute kept smiling as she go sweet kisses from Mommy and Daddy. Despite their cold cheeks and red noses this sweet little family pushed through. This was a golden fall session for a wonderful family.